Rishikesh Travel Agent is part of India Easy Trip Pvt Ltd. We are one of the most reputed travel agents in Rishikesh. We are one of the oldest travel agent started working in March 1995. 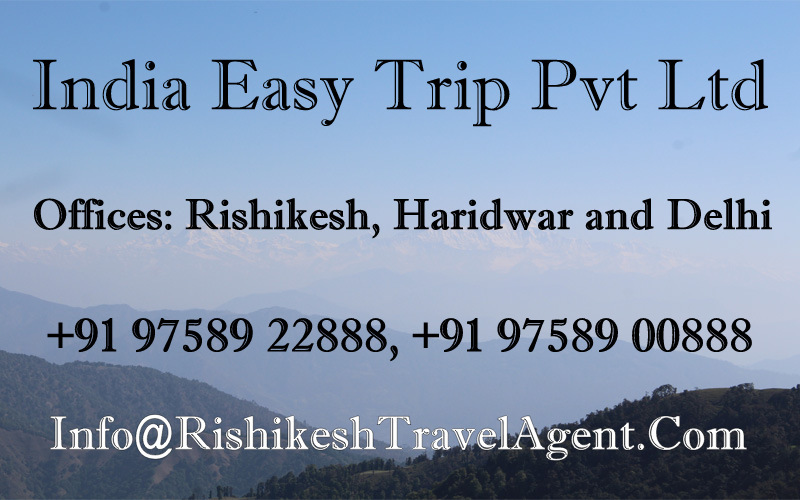 India Easy Trip is travel agent in Rishikesh approved by Govt of India under ministry of corporate affairs. We are also approved as Travel agent by Uttarakhand Tourism Dept, Indian Association of Tour Operators Adventure Tour Operators Association of India, Uttarakhand Travel Agent Association as well ISO certified Company. India Easy Trip Pvt Ltd is travel agent specialized in Garhwal Region of Uttarakhand in India. The Garhwal region contains some amazing destinations like Rishikesh, Haridwar, Mussoorie, Auli, Chopta, Badrinath, Kedarnath as well as some wonderful trekking areas such as Source of the Ganges, Kuari Pass, Valley of Flowers, Chopta and Har Ki Doon. We are team of young but well experienced people who are always eager to create lifetime memories for the guests. We started working as transport service provider in 1995 at Haridwar Rishikesh. Initially we worked only on b2b level and made partnership with local hotels in Haridwar Rishikesh and travel agencies all over India. Later due to high demand we started providing tours and guides in Haridwar Rishikesh & Garhwal Region. We managed to create good reputation as ground handling agent for many reputed companies in our area. Due this experience of working with reputed companies of India we established our self as one of the most modern travel companies in the region. Now we are successfully working on both b2b as well b2c level as Rishikesh Travel Agent. Our experience is always helping us to create wonderful experiences to each guests. As business to business supplier we never promote or disclose our self as we respect the branding of our partners. Apart from Garhwal region we are also providing services across India to our guests as we are having b2b relations with travel agencies in each part of India. Our headquarter is in Haridwar and The company offers wide range of services as travel agent. Our state Uttarakhand is also known as Land of Gods (Devbhoomi). The state has lot of opportunities in tourism and many amazing tourist destinations and places are still waiting for exploration. The state has a wide range of amazing experiences. There is no other state in India can offer the very wide range of experiences which Uttarakhand can. From Bustling pilgrimage town of Haridwar to peaceful temple town of Gangotri. From beautiful Butterflies at Valley of flowers to wild Tigers and Elephants at Corbett and Rajaji National Park. From busy Mall Road of Nainital to street walk at Chamba village market. An morning meditation on the bank of holy Ganga to rafting on wild rapids of Alaknanda the state offers very unique and interesting experiences. Either it is Hill stations like Mussoorie, Nainital & Auli or World’s largest pilgrimage circuit (chardham), Mountains of Nanda Devi, Rafting in River Ganga, Yoga on the bank of Ganges these are just a few examples. We as a Rishikesh travel agent want to make tours in the area as easy as possible with best in class services. 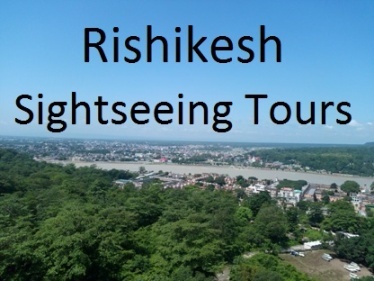 Rishikesh is unique destination. It has a something for each type of tourist. In a single destination you can do meditate in the ancient cave, watch the sunset and glaciers of Himalayas together, take a holy dip in the Ganga, join the prayers at the temples, attend the lectures at ashrams, learn yoga, do bungee jumping and rafting, trek to waterfalls, jungle safari in the national park and watch wild elephants, drinking masala chai on the ghats of Ganga, chatting with backpackers from all around the world while drinking Masal Chai, immerse yourself in the ganga aarti with hundreds of other people, learning about your future from astrologer, get an ayurvedic massage and many other experience you can do just within a circle of 30 kms. As a Rishikesh travel agent we try to combine various experiences altogether according guest interest. We always try to make all the arrangement complete hassle free. Being one b2b supplier for many leading companies, we are experienced in arranging every kind of activity in the area. We can arrange theme based tours in Rishikesh and near by areas such as yoga tours, Ayurvedic & Spa tours, Luxury tours, Romantic and honeymoon tours, Wildlife tours, Pilgrimages tours, Cultural tours and Exclusive luxury tours. As a travel agent in Rishikesh we provide customized tours for solo traveler, couples and families, corporate groups & student groups. We can efficiently arrange flight tickets, hotel bookings, train tickets, car & coach rentals, money exchange and local sightseeing tours & professional guide services. Being a modern Rishikesh travel agent our most of the direct customers connect to us through websites, word of mouth and references (both online and offline). Apart from our main website we have multiple websites to get connected with new customers. India Easy Trip Pvt Ltd has own fleet of vehicles which provides us competitive advantage compare to other travel agents in Rishikesh. 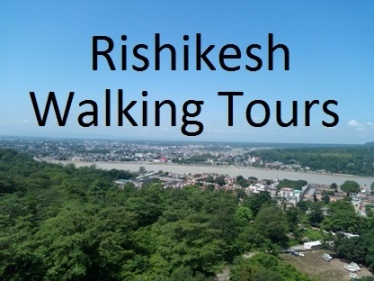 We also developed long term relationships with many reputed hotels in Rishikesh which helps us to provides tour packages at best price when you compare it with other travel agents.